In the days leading up to Thai New Year, traffic moves at a snail's pace. Highway police close one lane of inbound traffic enroute to Bangkok to ease congestion for outbound traffic, but even with three lanes open the roads remained jammed. Songkran. Where thousands of menial labour workers return to their homes upcountry to celebrate the Thai new year with family. 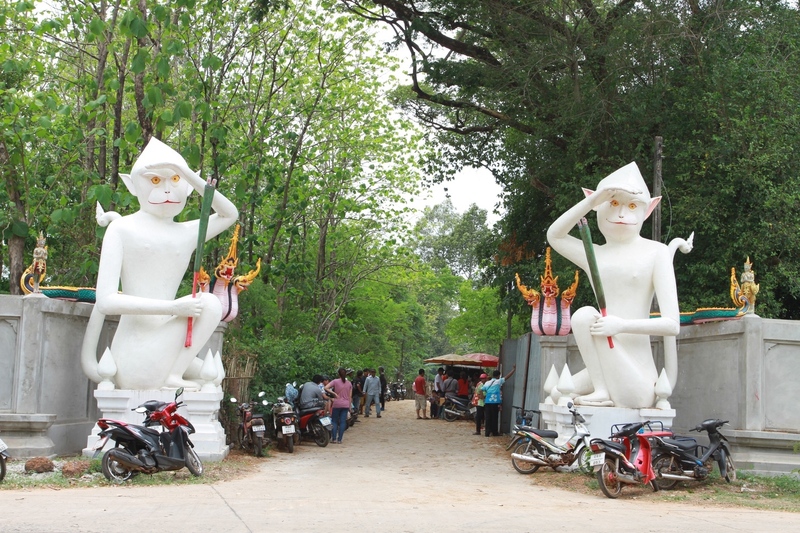 Depending on your final destination, going from the capital to Isaan is on average a six to eight hour drive. During Thailand's five most dangerous days of driving it can take up to twenty-four hours. With the massive influx of people coming home for the holidays, local governments and temples hold festivals that double as fundraisers. The idea being that those working in the city for cold hard cash will come back home feeling generous, and wanting to create face for their families. 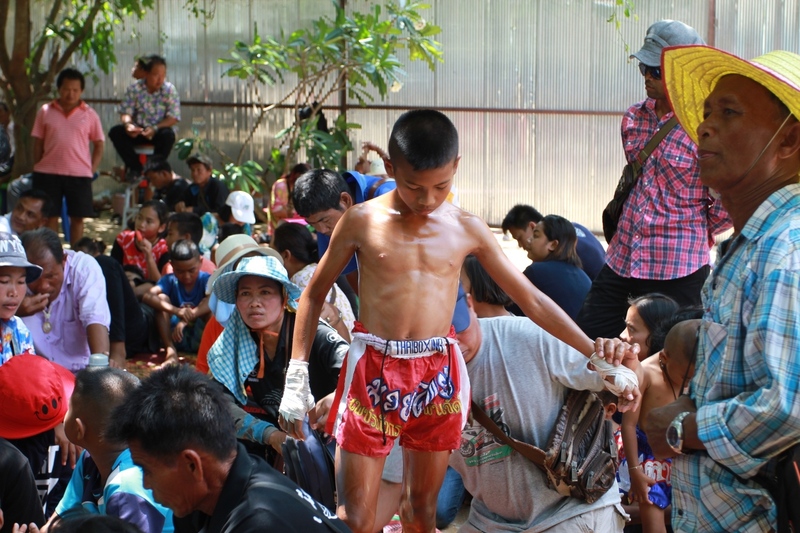 Hundreds of Muay Thai fights happen during Songkran to raise money. 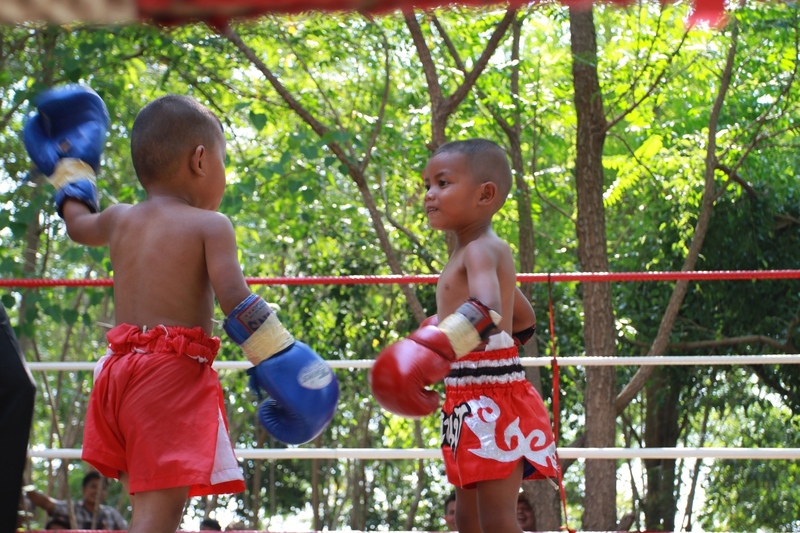 Government budgets allocate funds for events featuring concerts, and Muay Thai. Local government will hire a promoter to recruit fighters, rent a ring, and get the referees together. From there the government will look for sponsors, and force ticket sales on influential members of the community. Come fight day, they are looking to walk away with a small profit that can then be donated back into the community—but not before a few bills help line their pockets for the good work they do. Fighters and promoters take complete advantage of these opportunities. Never fighting at one hundred percent, fighters will book as many fights as they can. The fights usually start a few days before the official holiday and end on the fifteenth of April. A week of fighting, all in all. Most fighters seem to die out at around five matches. Some of them spread it out over the week, but most prefer to pocket their winnings as fast as possible, fighting up to three times in one day. Promoters need to take advantage of the limited amount of time they are given, so fights are held in both the day and at night. Despite it being one of the hottest times of the year in Thailand, the promoters press on, trying their best to shield the fighters and the crowds from the oppressive sun by setting up in shaded areas. But shade can do nothing to stop the humidity, and as the sun moves across the sky, so does the shade. 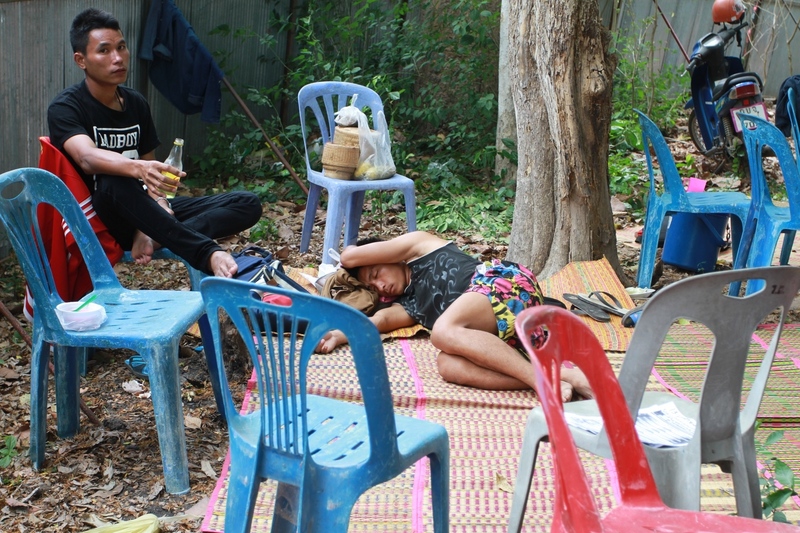 To the Thais though, this is considered normal and perfectly acceptable. The fighters are grateful for the opportunity to work, so they don't complain regardless of the weather. 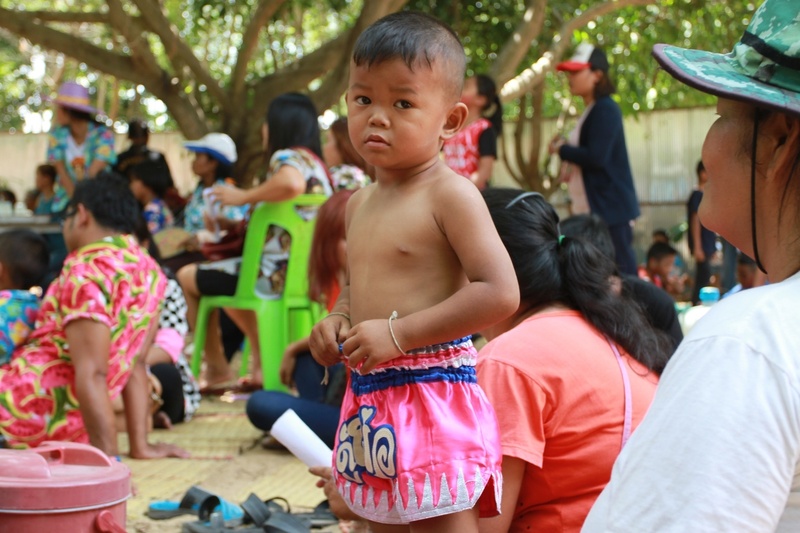 Songkran is also a time where a lot of kids get their start, and where a lot of unconventional fighters find their match-ups. 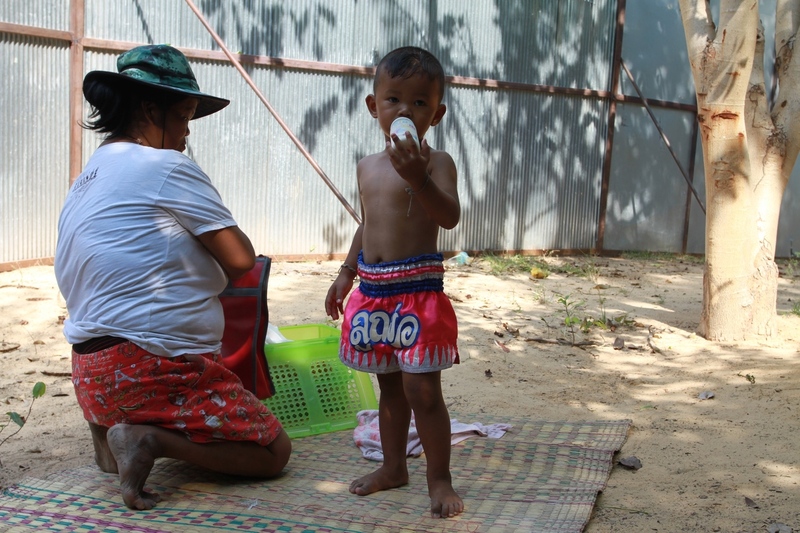 At a show in Surin, co-sponsored by the famous Petchyindee Empire, 2-year-old Man-U (Manchester United) got his chance to step over the ropes for the first time. He was matched-up on site; weight gauged by eyesight alone. Man-U and his slightly taller opponent, despite only recently learning how to walk, were able to throw kicks like seasoned pros. 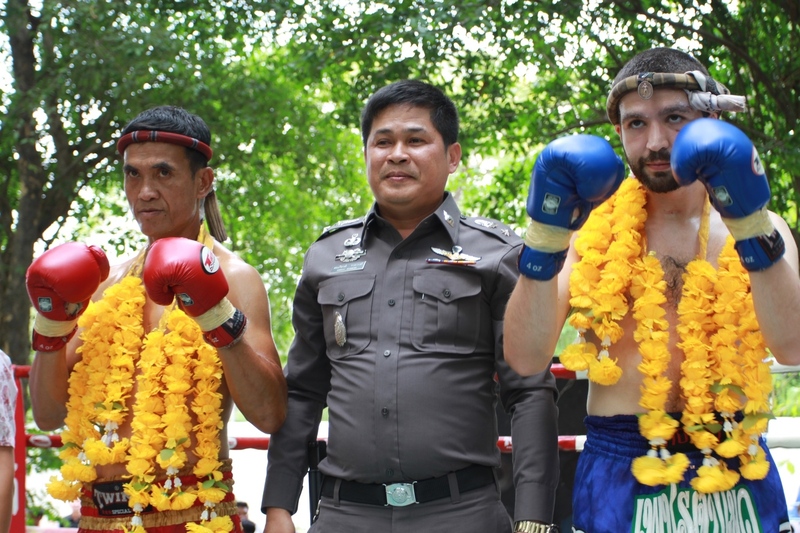 After one two-minute round, the Petchkasaem referees ruled it a draw. To celebrate his victorious debut, Man-U chilled out with his bottle of milk in the shade. 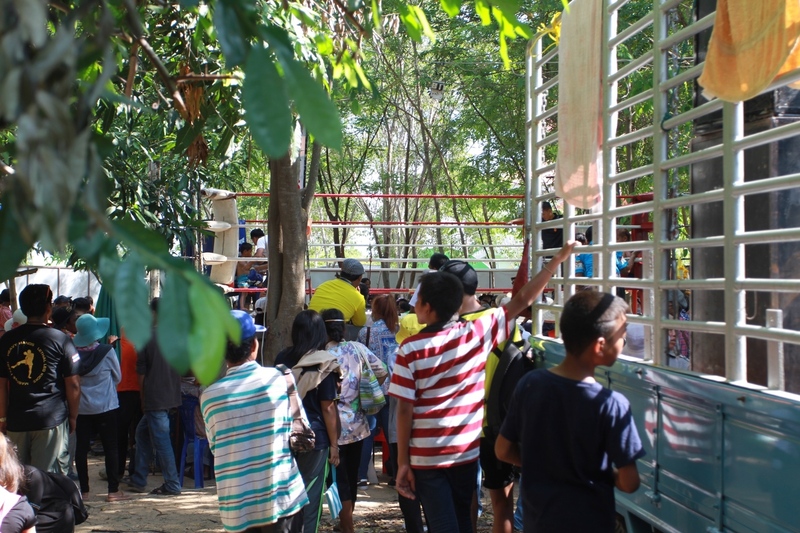 In neighbouring province of Kalasin, a young American ended up jumping in the ring on just minutes notice to fight a member of the Royal Thai Police. Police officer, Dap-A isn't a seasoned pro, however. At 45-years-old, he took up fighting just two years ago, looking for a way to "upgrade" his life. 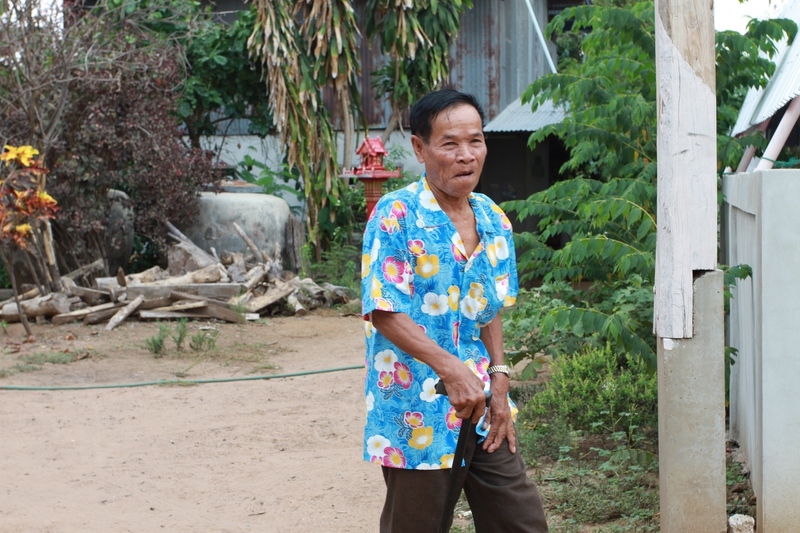 He's fought well over ten times now, and during Songkran managed to fight twice. Twenty-six year old Elijah, originally from Denver, had just fought three days prior, but when given the opportunity to trade leather with an officer of the law, Elijah jumped on it. The fight lasted five entertaining rounds, but it was Dap-A's calm, cool and collected disposition, and good right kick, that scored him the unanimous decision victory. A rematch is currently in the works. 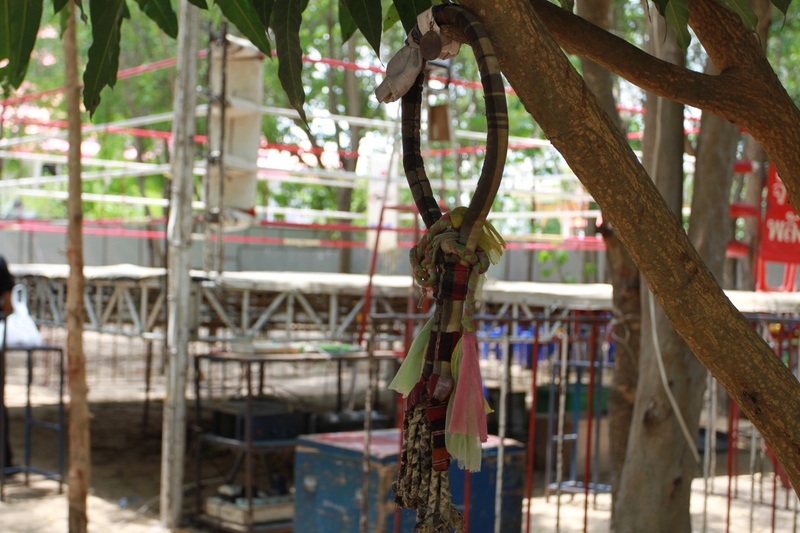 As with all fights in Thailand, gamblers are always present. 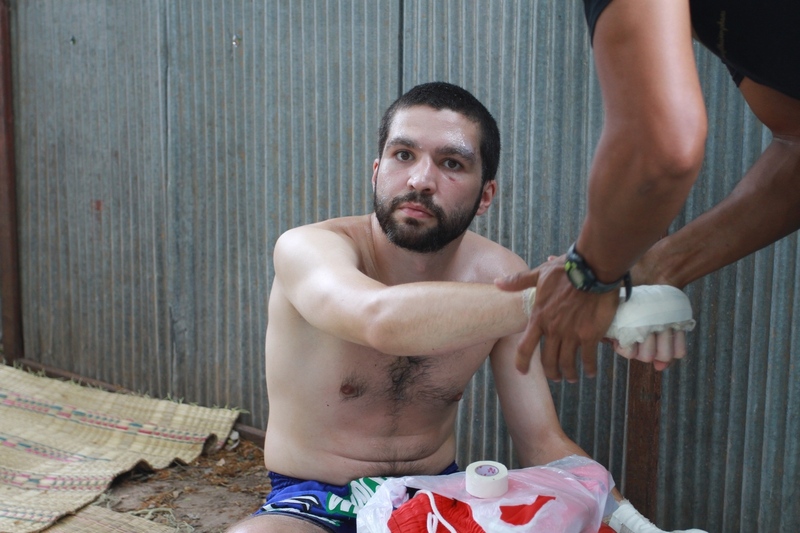 But it's not a time to put down big money; some of the biggest upsets happen during Songkran and the Muay Thai community never thinks much of it. Fighters are sick, tired, sore, and in certain cases, hungover. Complete underdogs come out of nowhere and are able to score big victories against stadium regulars. 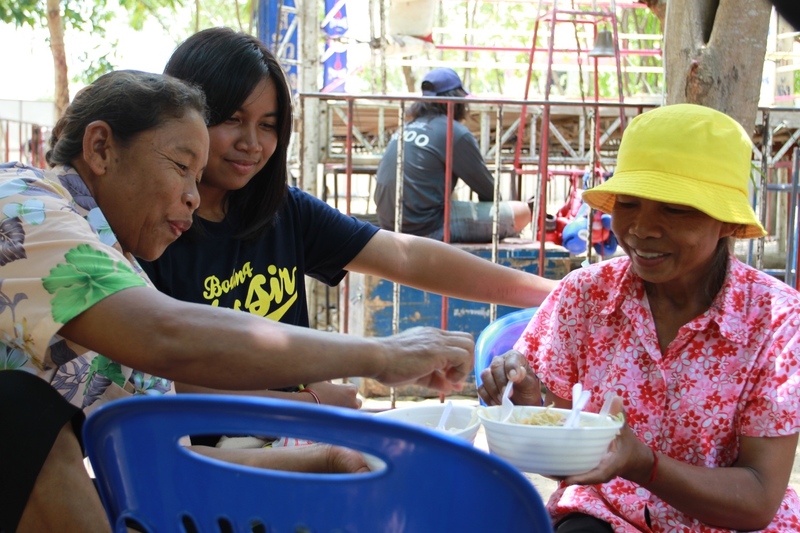 In between traveling and sleep, fighters will also take part in Songkran festivities that include paying respect to one's elders; the tradition is extended to gym owners and trainers too. The ceremony is intended to wash away one's bad luck and receive a blessing in return. Using a mix of baby powder, turmeric, and water, fighters will gather together at the gym to wash the hands and feet of their gym parents. Water fights happen for three days straight—longer in some areas. Kids pile into the back of pickup trucks, or set up shop on the side of the road and dump water on passersby. 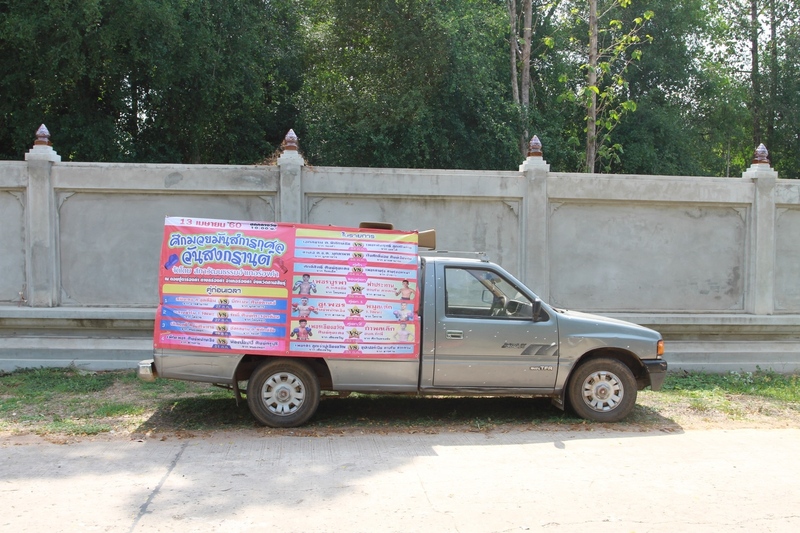 No one stays dry during Songkran, and that includes fighters traveling to and from the venues in the back of pickups. Despite getting drenched on multiple occasions throughout the day, even just to get some noodles, everyone is in good spirits. Knowing they are going to get wet, people plan accordingly. Nowadays every Tesco and 7-11 sells brightly-coloured plastic bags designed specifically to keep your smartphone safe and photo-ready. Before the more fashionable options (which come complete with a string to go around your neck) Thais would use a condom with a knot at the end to keep their Nokia 3310s safe. It's a fun time, and not just for Muay Thai. Everyone looks festive in their Hawaiian T-shirts, now dubbed as Songkran shirts, and kids free from the oppression of school enforced haircuts dye their hair and shave funny patterns onto the side. Families get the rare treat of traveling to local fights, and fans of the sport get to see some top talent from Bangkok make some money on the side.